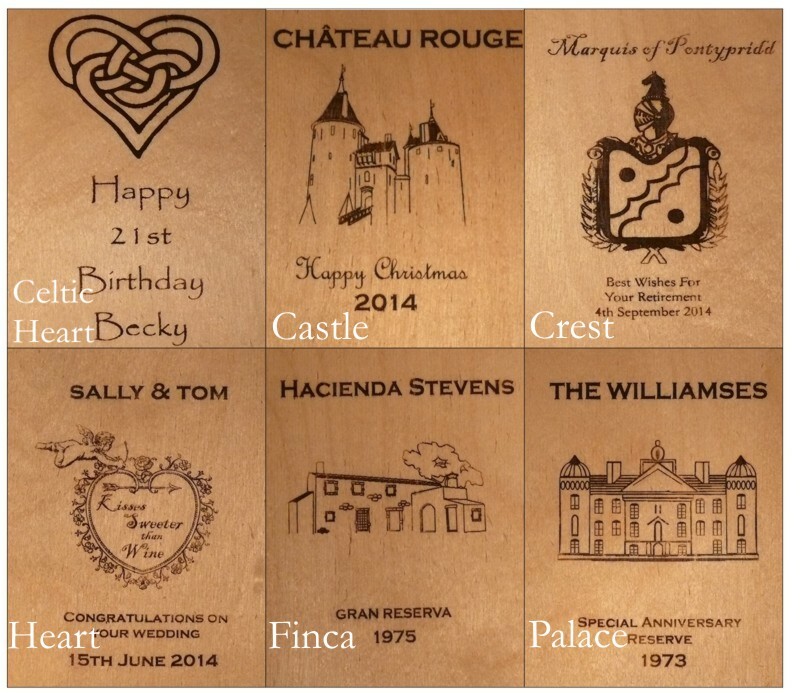 Personalised wooden wine box for three bottles. 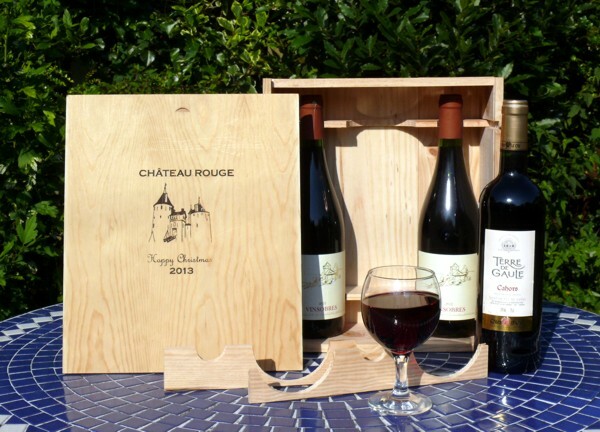 Our wooden wine boxes are made in the Bordeaux region from ‘Pin des Landes’ – pine from the huge coastal forests of southwest France. 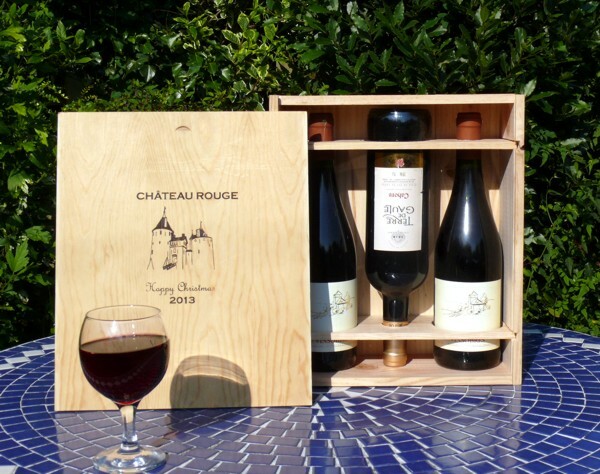 The manufacturer that supplies us also supplies some of France’s greatest winemakers. 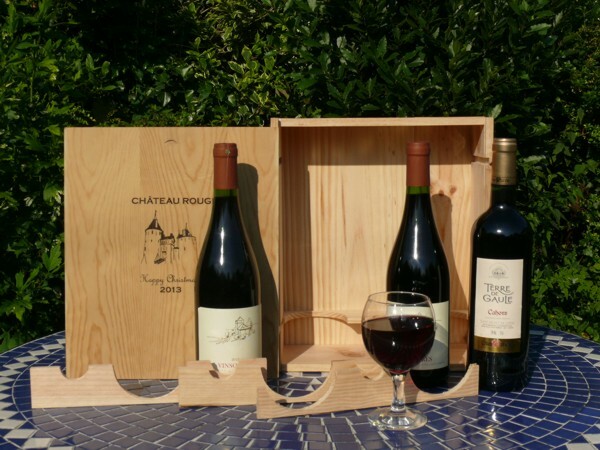 Our three bottle wine boxes are made to hold standard Burgundy bottles, but will also hold standard Bordeaux bottles (the most common type, also used for example in La Rioja). They have sliding lids and ‘guillotine’ style removable supports to hold the bottles in place. the supports between 4 and 5cm up from the base have a diameter of 8cm. the supports between 25.5 and 26.5cm up from the base have a diameter of 3.2cm. Bottles which are smaller in any of these dimensions will fit, of course, but may rattle. 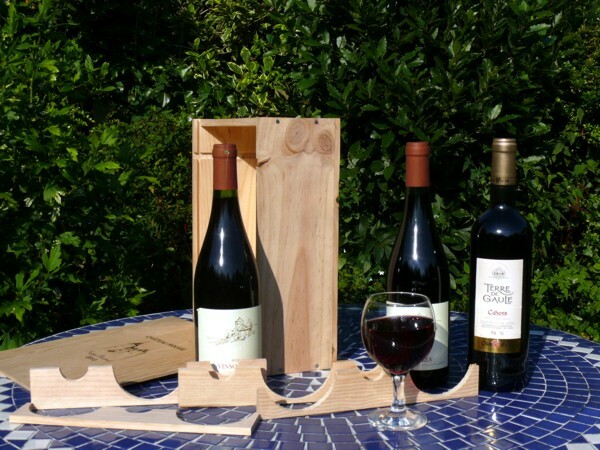 If you want to use the box for different sized bottles or for other items, the 'guillotine' supports can easily be removed and the items can be packed with straw or tissue. The boxes are made to be used as packaging, so they are made of smooth unfinished planed wood in a practical, rustic style. They may have knots in the wood and dimensions can vary by a couple of millimetres. Choose from these exclusive designs and enter your message in the field below.